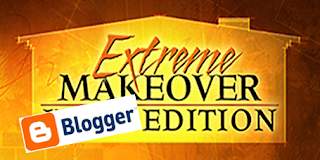 I spent this last weekend doing some blog maintenance. Some 'blogovations' if you will. Some of it I've been wanting to do for a while, some of it has come about after mulling over stuff I learnt at DPCon13. First up, you may or may not have noticed that I changed my header slightly. I also created my own customised menu bar coz I was annoyed at not being able to centre the built-in blogger one. And I created a little 'About Me' picture and category buttons over in the sidebar. 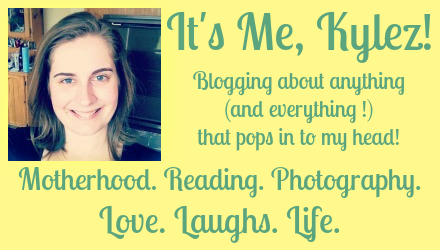 I'm hoping that the 'About Me' picture helps to sum up my blog and let people know what I'm about quickly and easily. Does it? I'm hoping that the new category buttons make it a little easier for people to be able to find and read about the things they like to hear my bang on about, and ignore the stuff they don't. Do you think they are too big, too small, or just right? And do you get that 'Stellar Contradictions' is referring to my best posts? I also created a new Welcome! Start Here page, which you can access from the menu bar under the header. It's just a quick one-pager about me and the blog and the things I blog about, kind of an expansion of the 'About Me' picture in the sidebar. I've tidied up the sidebar, made it a little neater and more condensed and hopefully a little friendlier on the eye. I've done a lot of googling to figure out how to do some of this stuff, like creating the custom menu bar and also how to bulk change the labels used for my posts (on a blogger blog). I kinda wish I googled that a bit earlier though, would have saved me manually going in to quite a few posts to change their labels! If you have a blogger blog and you're wondering how it's done, then click here. You're welcome! Ok, so it's not really extreme but this was the best image I could find ok! A big thank you to those who have already taken the time to do my survey. And if you don't take the time, well, don't expect to get that tingly feeling in your groin area you hear! And if you do get that tingly feeling its probably because you've got some gross disease and you should really get that looked at! So tell me, did you even notice that I'd made some changes to the blog, some blogovations? Or are you a bit like me and tend to not notice that kind of thing? Is there anything you've just been busting to tell me about the blog, anything that really bugs you or that you think is totally fabulous? Please let me know in the comments, I would love to hear any and all (constructive) feedback (and for those whose pesky browsers don't let them comment via Disqus, feel free to let me know your thoughts on my Facebook page here). Linking this post up with the just-as-awesome-as-me creator of the world's best Tuesday linky (IBOT, duh! ), Essentially Jess! 'Rant on, Ranty McRanterson ' may just be the best button EVER! Lookin'good! Love seeing what people do with their blog. You clever thing Kylie!! Looks so good! Now then I can't see the header, I'm reading on a Mac using Chrome, will try on safari. It's really satisfying to learn new stuff, isn't it... and greater still when things actually work... which they don't always for me! I love it! I have bookmarked that page so I can find it when I need it! Love the buttons, well done. Congrats on your blog makeover :) I love how you coordinated your colours. One suggestion to maybe make your "About Me" photo clickable and link to your "Welcome" page if that's possible :) Just another easy access to anyone that wants to know more about you. Looks good but hating the fact it highlights I need to do some serious housecleaning of my own! Looks awesome Kylez! Good work. I've been wanting to do some work on my blog for ages. A custom nav bar and categories are defo on the list. Love the colours. Very bright and cheerful. Well done doing it yourself. Seems to be the time for a bit of blogavations and swapping hosts and things happening at the moment. Oh yes that is a fabulous idea, thanks! Off to do that now! Thanks Josefa! I definitely think the categories is a good idea, especially for new readers. It does feel good, almost a bit like spring cleaning! I used PicMonkey to make mine. If I can't find the link to the page I used I'll do a blog post on it for you. Stay tuned. Thanks Kim, the ranty pants are definitely a popular look around here! Must find my next rant target stat! I must admit I have learnt a great deal doing all of this, its made me keen to learn more. Thinking I might have to do some blog posts on it all for other people to benefit as well, can't keep the knowledge to myself! Thanks Emily. I'm thinking I may just do a series of blog posts on how I did some of it and include the links to where I got the info. No point keeping it all to myself! Thanks Francesca, you're a gem! Thanks lovely, it definitely feels a bit like the satisfaction after a spring clean! Thanks V. It took me ages but its so worth it once its done. Once I found out how to do the bulk changes it was much quicker and easier, but I had already done so many the manual way I was seriously annoyed that I hadn't googled how to do it earlier! Certainly is, a change is as good as a holiday I reckon! I'm catching up on your blog Kylie. I really love the new look and the changes you made. Love the colors and it's looking great!